Sometimes we can get so caught up in the rigors of running a business or living our lives that we forget that documents can be more than just a way to get information. They can also be links to our past, to historical events that should never be forgotten. For documents that have value as ties to history, or perhaps as court evidence in a particularly important case, you may need to consider a document archiving services. Document archiving occurs when a document is prepared in such a way that it can be stored long term. This doesn’t just apply to physical documents. There is also a method for archiving digital documents so that they are always available. For this article, we will focus on the specific threats to physical documents, and what can be done to protect form those threats. Fire and water are two major concerns when it comes to document archiving services. Fires can destroy paper in a matter of seconds, and if a flood occurs and the paper cannot be rescued in time, it can become completely unusable. If it is very old, it could also disintegrate in the water completely. A document archiving service should be fitted with fire-proof shelving that is off the floor and the electrical system breakers and plumbing should be located on a different floor if possible. Another major concern is theft and vandalism, which should be considered a serious threat to any historical document, or a document that could prove a person’s guilt or innocence in court. The document archiving service needs to be secure, with multiple layers of security checks, and a system of check-ins and check-outs should be used to track the whereabouts of every document. Following these guidelines will ensure that your physical documents are safe no matter how they are archived. 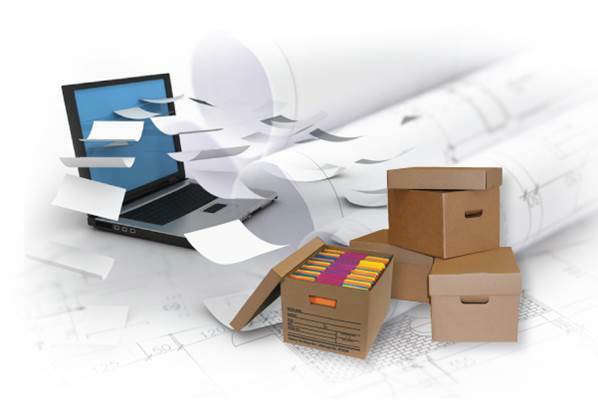 eRecordsUSA is specialized in providing Document Archiving Services / Document Archival Services / Document Scanning Service. Would you like to receive a free quote for Document Archiving Services? Call +1.855.722.6669 or eMail us at info@eRecordsUSA.com. eRecordsUSA offer Document Archiving Service in following areas of California, Sunnyvale, Santa Clara, San Mateo, Silicon Valley, San Jose, Mountain View, San Francisco, Redwood City, Marin East Bay: Alameda, Livermore, Fremont, Milpitas, San Ramon, Concord, Pleasanton, Dublin, Contra Costa, Hayward, Oakland, Napa Valley: Fairfield, Vallejo, Sonoma, Pittsburg, Solano, Petaluma, Santa Rosa & Martinez.